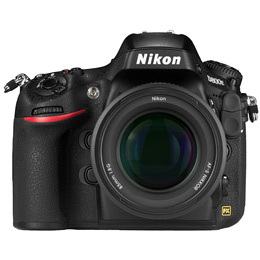 The Nikon D600 is an affordable approach to a full frame (FX) DSLR solution. But more importantly, it is Nikon's smallest and lightest full frame DSLR. 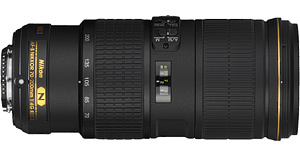 In terms of size and weight, it is 15% smaller and lighter than the D800. It does this without sacrifice, as its 24MP Sony developed sensor produces brilliant image quality. In fact, it was rated among the highest by various independent test facilities. Up until now, full frame users have been primarily professionals or those who can afford expensive photography gear. The D600 closes that gap and encourages those less familiar with photography to take advantage of full frame capability. Full frame (FX) provides three primary advantages over smaller sensor designs (DX): depth of field control, larger viewfinder, and low noise imagery. The Nikon D3 was Nikon's first mass produced full frame DSLR. It was released in 2007, which lagged behind Canon, who already had a full frame DSLR available. However in 2012, Nikon delivered an extraordinary new generation of cameras that outperformed anything before. 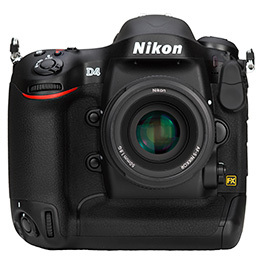 Beginning with the professional Nikon D4, delivering professional reliability and effortless speed. It was followed a month later with the announcement of the mega pixel giant, the Nikon D800 and D800E. The E version is a variant with one low pass filter removed. Two months beyond that Nikon announced the entry level Nikon D3200, a 24MP, light weight camera. All of these cameras clearly separated themselves from prior generations. The best deals currently on the D600 are found on eBay. This is due to Nikon's significant discounting before the holiday. 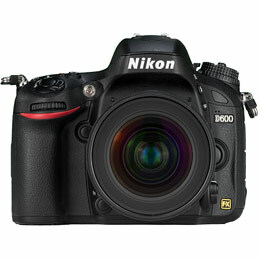 The Nikon D600 was announced on September 13, 2012. However, since its announcement it has been rapidly discounted, more so than any other camera released in 2012. 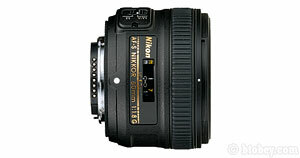 The best available deal is the D600 Kit, which comes with the Nikon 24-85mm VR lens. This deal typically includes extra accessories like memory cards and a bag if you purchase it through retail sites like Amazon and Adorama. I suspect Nikon is discounting the D600 kit to meet their yearly fiscal revenue requirements. This deal will not necessarily be around for long. The D600’s controls are more closely related to the D7000 than to the D800, with some additional enhancements. The most significant enhancement is the mode dial lock and shooting-mode dial lock, as these prevent users from inadvertently switching modes, a common concern expressed on the D7000 and D90. Another enhancement is the updated live view control and red record button. It has been updated to the new D800/D4 implementation, with the record button located next to the shutter release. On the rear of the camera are standard playback buttons located to the left of the 3.2 LCD. These same buttons are overridden during shooting mode to adjust for white balance, quality, and ISO. This is Nikon’s first implementation of an enthusiast style control layout on an FX camera. Most professionals prefer dedicated buttons for each setting. However, this is not to say you cannot become accustom to the D600's controls and react just as quickly as you would on a pro layout. Perhaps the most important feature I find missing is the quick zoom during playback (OK Button), typically used to instantaneously check autofocus on image review. I use this often in wedding photography. Overall the controls are arranged nicely and are modern. It only requires minimal acclimation to go between a D600, a D800, or a D4, or vice versa. It is a bit different if you are familiar with a D3/D700, as the zoom buttons are reversed. The D600 has two shooting setting banks, U1 and U2, similar to the D7000. 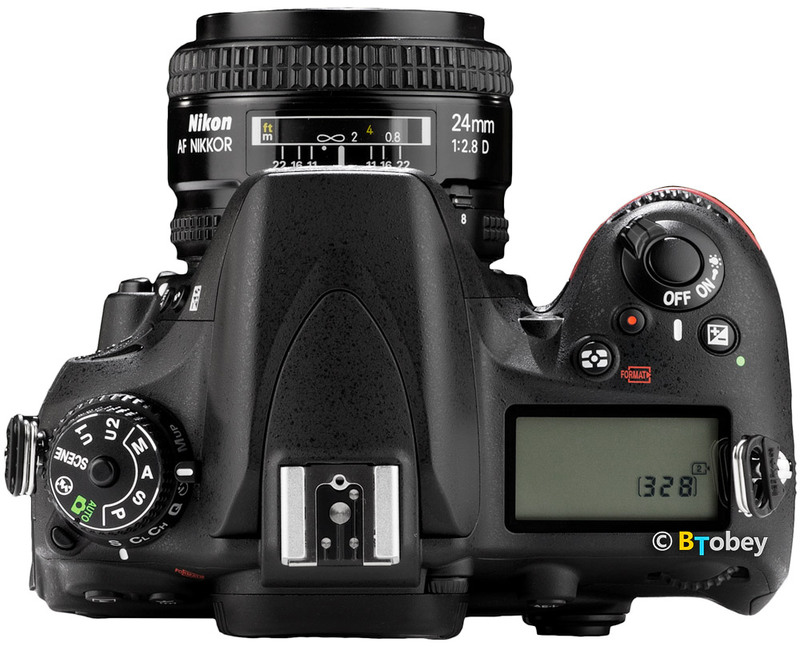 The D800, D4 and D700 also have this, but require navigation through the menu. The D600 has a better approach, the U1 and U2 are accessible on the mode dial, making it easy to transition between them. This feature allows you to evoke entire setting banks quickly. 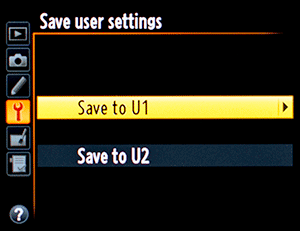 It is easy to save your settings to U1 or U2. Press MENU, navigate to SETUP menu, then find Save user settings. It is one of the top items on the setup menu, just below Format memory card. The accessibility is what is so important. For example, you can setup U1 for indoor use, perhaps auto ISO with a targeted white balance, etc, and U2 can be used for outdoor use, such as landscapes, at say ISO 100, and easily switch between them. It is also powerful when shooting video, and liveview updates instantly when you switch between them (still mode). Unlike the D7000, the D600 modernizes the shape and feel of the camera, similar to the D800 and D4 style. The shutter is at a steeper slant, and the camera appears less square with more rounded corners. The weight feels comfortable matched with many FX lenses, especially the recent mid priced ones, like the 1.8 primes and the new 24-85mm VR and 70-200mm f/4. 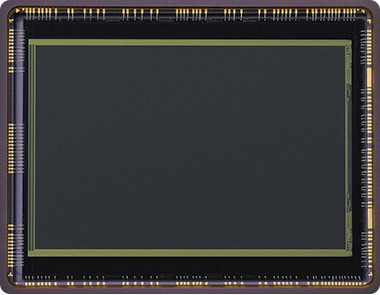 The rear 3.2 inch LCD is the same as the D800 and D4, a 640 x 480 rgb pixel grid (921K dots). It exhibits a broader color gamut compared to that of the prior generation (D3/D700), and the extra 0.2” size increase is a nice bonus. Around the web, there has been much discussion about a greenish hue on the rear LCD. Some claim the LCD is not accurate and requires calibration. I find it just the opposite. The LCD is more accurate. It allows me to distinguish the accuracy of the white balance better than that of the prior generation cameras. In some situations I find the AUTO white balance to compensate too green, so I counter that and push it a bit magenta. The top LCD, next to the shutter release, is smaller than the top LCD on the D800 and does not display an exposure meter. One of the best features of full frame FX cameras is a larger viewfinder. The same as the 35mm film cameras, it is noticeably larger than DX DSLRs. The D600 covers 100% of the image for generating accurate composure. The older D700 only covers 95%. Nikon essentially reused the D7000’s CAM4800 AF grid on the D600. However, the AF grid was initially designed for DX use, yet Nikon implemented it on FX. The consequence is a smaller AF layout, primary oriented in the center of the image. 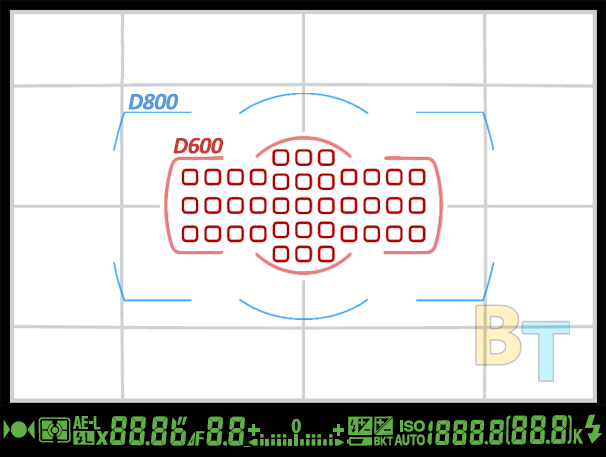 The image below shows the difference between the D600 AF point layout compared to the D800. 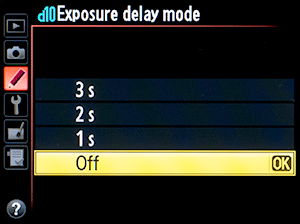 Additionally the D800 includes an option to overlay a virtual horizon indicator, not available on the D600. Autofocus can be powered by a lens or by the built in motor inside the D600. AF-S lenses include an AF motor inside the lens and do not rely on the camera to power the autofocus. However, older lenses such as marked AF-I AF-D and AF require the camera to power the AF using a screw drive. The D600 supports this capability and does it well. 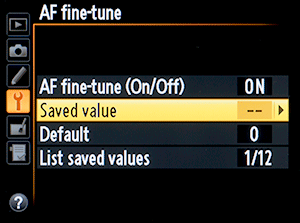 The D600 features an AF fine tune (SETUP MENU) that allows you to calibrate autofocus on up to 12 lenses. Due to production variation, AF accuracy can vary from lens to lens. The D600 allows you to adjust for minute AF discrepancies to more precisely acquire autofocus. Although this is an important feature, it is not common for modern lenses to exhibit inaccurate autofocus. Use this feature with caution. 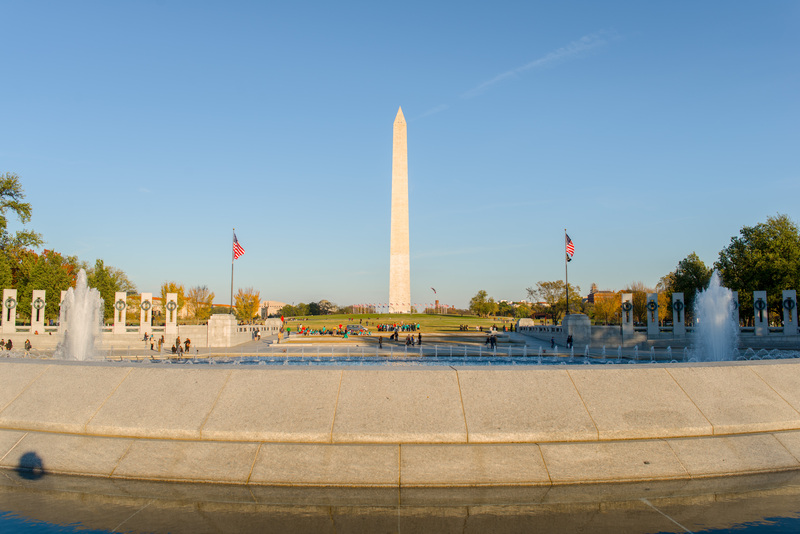 Bracketing is a great for use in HDR or when you're unsure about exposure. 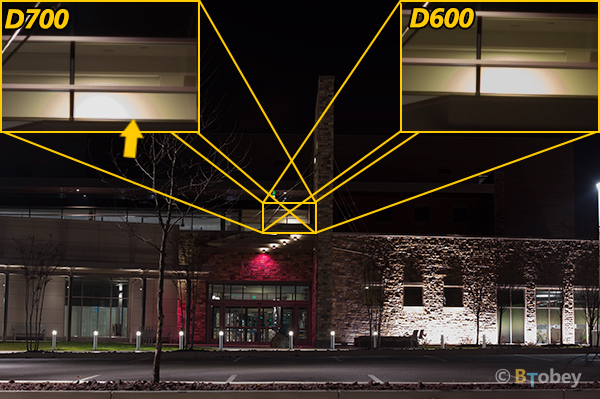 The D600 is limited to only 3 frames of bracketing (3 different exposures). The D800 and D4 can bracket more frames and thus acquire more varied exposures. The lack of more frames should not be a concern as you could always increase or decrease your exposure value (EV) and bracket a second round of shots. The D600 features a built-in flash that is adequate for basic uses. It is a bit smaller than the D800's built in flash. Additionally, the D600 features commander mode that allows you to fire remote flashes, such as the SB-600, SB-700, SB-800 and SB-900/910, through IR using the built-in flash. You can setup up to 2 independent groups. 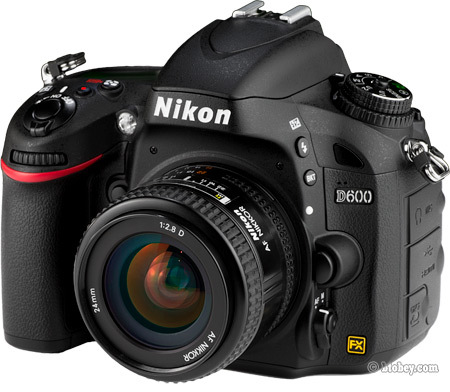 The D600 uses the Expeed 3 processing engine, and performs similarly in terms of response time to the Nikon D800, both in shooting and in playback. Its quick databus can ship images at ~665 MB/s = 5.5fps. 5.5 x 6016 (Width) x 4016 (Height) x 3 (RGB) x 14bit. The D600 can shoot images up to 5.5 frames per second (fps). The frame rate is more than capable for average users. Those looking for higher frame rates (sports photographers), consider a D700, D3 or D4. Note that the MB-D14 battery grip does not increase the frame rate as the MB-D10 did with the D700 (from 5 to 8 fps). Below is a list of the number of shots the D600's buffer can support using continuous shooting. The NEF RAW file type is for lossless compression. The shutter is not quite as robust as the D800’s shutter. Its top speed is 1/4000th of a second compared to 1/8000th of the D800. However, this reduced shutter speed has never impacted my photography. 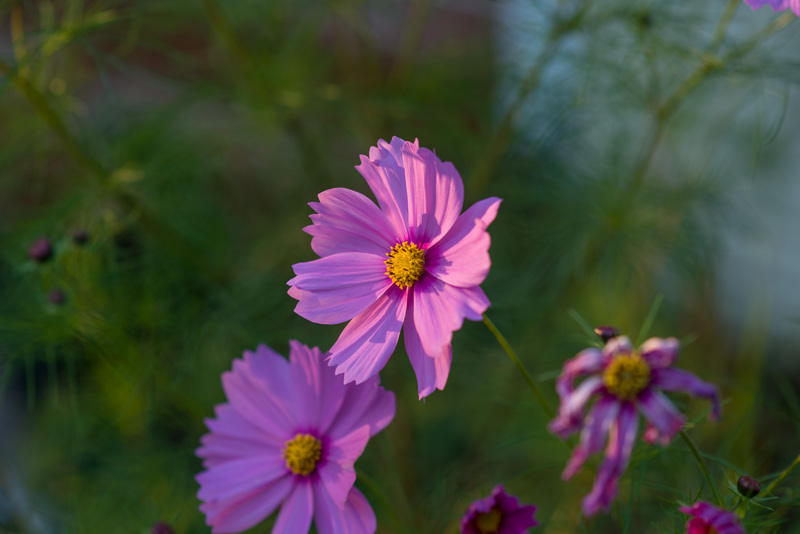 If you enjoy low apertures in bright day light, it may impact your ability to lower the exposure. The D600 uses the EN-EL15, the same battery as the D800 and D7000. The battery life is great, a bit better than the D800. Although Nikon (CIPA) rates it for 900 shots, I am able to get over 1200 shots out of one charge. This may diminish over the anticipated 5 year battery life span. 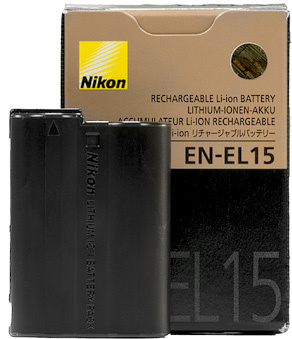 Nikon has installed a battery lifespan indicator in the setup menu to notify you when the EN-EL15 has reached its end of lifespan. The shutter life is rated for 150,000 shutter actuations. However, the shutter will probably last well beyond that, as indicated by past experience. You can evaluate your camera’s shutter count by simply uploading a JPEG at nikonshuttercount.com. The physical connectors are similar to the D800/E, however the D600 lacks a flash PC input and 10-pin remote terminal. The D600 retains USB 2.0 where as the D800 steps it up to 3.0. The rubber cover sleeve, to protect the connectors, is divided into groups of connectors, whereas the D800 has one large rubber cover sleeve for all the connections. 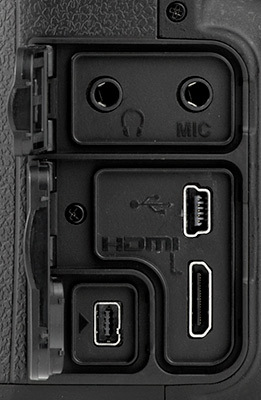 For example if you want to use the mic or headphone jack, you only need to expose those connectors. The ML-L3 remote control is compatible with the D600, unlike the D800/E and D700. I have always enjoyed the simplicity of ML-L3 remote control. The best part is the D600 has both a front and rear IR sensor so you can use the remote from both directions. 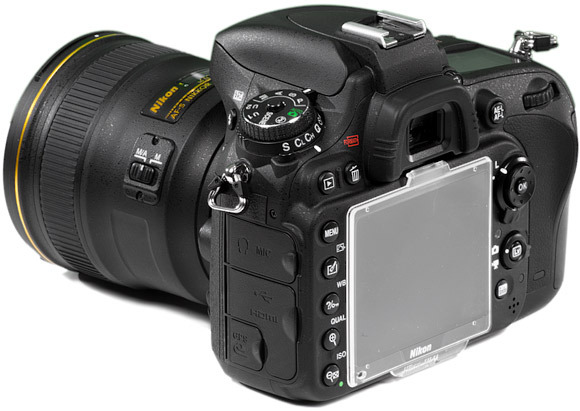 This dual sensor approach was first introduced on the Nikon D3200, Nikon's entry level camera released in April 2012. Regardless of how light the camera feels, Nikon did not skimp out on the construction quality. It still feels rugged, enough to withstand a drop or two. I recommend you check frequently for new firmware updates. 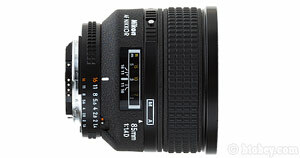 For example, in the current firmware, the Nikon D600 does not permit the aperture to be adjusted while using liveview. I suspect Nikon to correct this soon with a new firmware update. You can check and update your firmware in the setup menu: SETUP -> Firmware version. The time-lapse feature and intervalometer feature work great. The interface is a bit clumsy but still useful. These are two separate features. 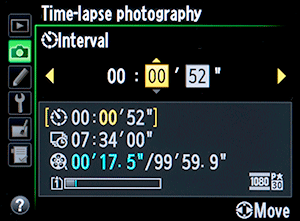 First is the intervalometer, it takes photos at a predefined interval. You predefine the number of shots desired for a given period of time. You can also define the repeatability of the sequence. I typically leave the number of shots to just 1 and instead specify the repeatability number and time interval and then let it rip. In the end you will have a series of photos. The time-lapse feature differs from the intervalometer in that it compiles a movie instead of just a series of photos. This is a cool feature not present on previous generation cameras, particularly the D700. The implementation on how you specify the sequence is a bit different from the intervalometer. With time-lapse, you simply specify the duration and the interval or frame rate. The end result can be remarkable. One tip I would suggest is to pre-set your white-balance and also use manual exposure. Otherwise as time goes on, the camera will vary its white balance and exposure which will not look as realistic as you might anticipate. You can find both the time-lapse and intervalometer feature in the shooting menu at the bottom. Remember that you should always experiment first. This is also costly to the overall shutter count of your camera. However, you should not let your shutter count dictate your usage. Hopefully you did not purchase a D600 just to admire it. The D600 offers an exposure delay mode that delays the shutter from 1 second 2 seconds or 3 seconds from when you press the shutter release. This is advantageous for when you are using a tripod and would like to prevent any camera shake due to shutter release. The D800 and D4 feature the same settings, but the D700 lacked the flexibility to adjust the delay. Instead it was fixed at 2 seconds. 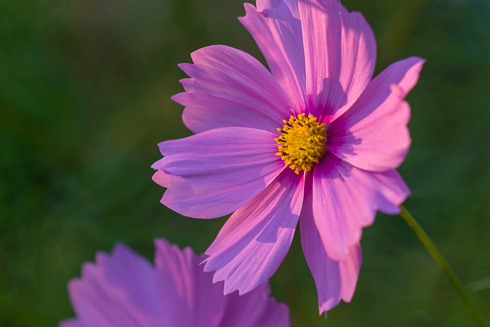 The D600 has an extraordinary 24.3MP full frame (FX) sensor capable of capturing great detail. Its peak performance is at the base ISO 100, where it achieves 21 EV of dynamic range and 23 bits of color depth. At this ISO sensitivity, noise is nonexistent, even in the shadows. Overall it is just shy of the D800’s peak image performance. The sensor is designed by Sony. 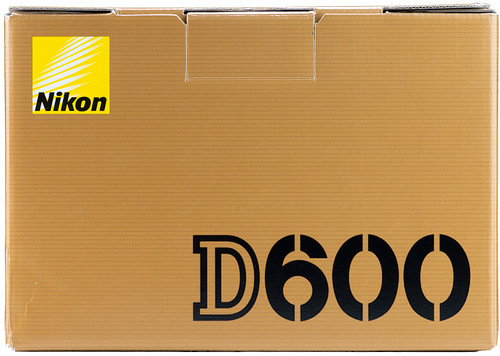 Nikon is responsible for the integration of the sensor into the D600. Nikon does this on a variety of its cameras, including the D800. Nikon has a secret sauce in their implementation that allows them to achieve better image results than Sony does with the same sensor in Sony cameras. It remains unclear in why this is the case, but based on image testing holds true. The anti-aliasing filter used in the D600 has a moderate low pass cutoff frequency, where aliasing and moiré can still occur at rare instances. I find this to be an advantage, more similar to the D800E, it can achieve sharp detail and take full advantage of the 24.3 MP. When comparing the D600 to a DX sensor with the same megapixel count, such as the Nikon D3200, no question the D600 outperforms in all aspects. The FX sensor of the D600, due to its larger pixel size, captures more information, attaining better dynamic range and color depth with less noise. Again, this is the importance of full frame sensors. In the example below, I have processed a raw image to exaggerate the sensor's capability to show all the color and shadow detail acquired. The D600 can retain a lot of information within its raw 14 bit A/D sensor. 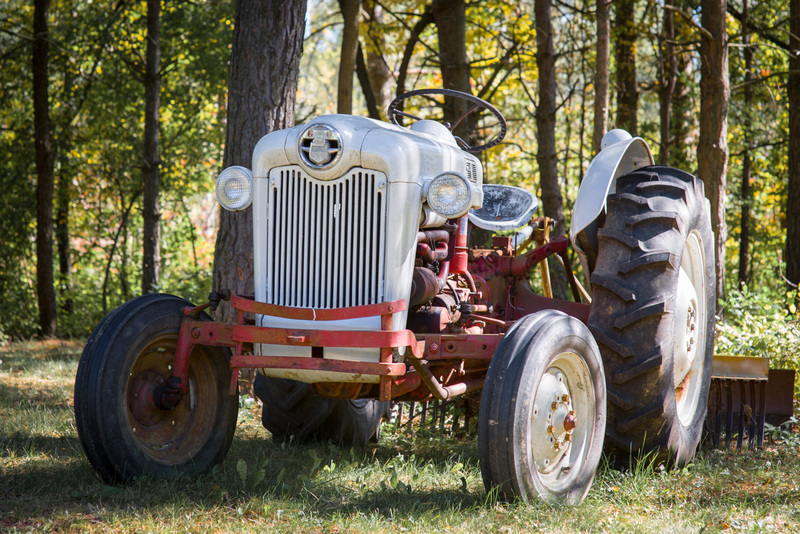 The D600 can capture images in a vast dynamic range. Simply put, dynamic range is the ability to distinguish from deep black shadows to bright highlights, and every shade in between. This is important in gradients, more common to landscape photography. The image below provides an example of the improved dynamic range of the D600 compared to the D700. The image to the right was shot at ISO 200 using the D600. The image to the left was also shot at ISO 200 but using the D700, same settings, same WB, same lens, etc. These images were taken outside of a library at night, and the crop is focused on a light. You can a small amount of banding in the D700, where the D600 maintains a more even gradient distribution. The Nikon D600 exhibits impressive image quality across its ISO range. In terms of noise and dynamic range, the D600 is a mix between the D4 and D800. At low ISO settings, the dynamic range and shadow noise is a bit behind the D800, but better than the D4. At higher ISOs, particularly above ISO 1250, the D600 is behind the D4, but bit better than the D800. ISO is a measure of light sensitivity. The higher the ISO, the more sensitive the sensor is to light. Higher ISO settings allows for faster shutter speeds, important for sports and low light photography. Consequently, the image quality degrades as ISO is increased. More specifically, at higher ISOs, noise creeps in, dynamic range decreases and color bit depth decreases. See more ISO results in the D600 D800E D4 D700 Field ISO Test. The D600's auto white balance is great. In some lighting conditions, I find the auto white balance to be a tad bit too green. This occurs more commonly in incandescent lighting and in sodium vapors (the orange color street lights). However, I do find it slightly better than the D800's auto white balance. The D600 allows you to calibrate white balance using a white card, etc. It provides the same number of "user calibrated" presets as the D800 and D4 do. Despite the 39 scrunched autofocus points, the D600 autofocuses quickly and accurately. Like most of Nikon's DSLRs it features a bright, annoying, autofocus illumination light to help in low light environments. The Auto-area and 3D tracking autofocus is a bit hindered, again by the small area of autofocus points. 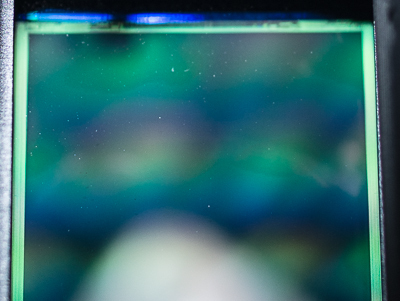 Diffraction is less of a concern on the D600 than it is on the D800, obviously due the pixel density of its sensor. At f/8 it is diffraction free. By f/11, in theory, diffraction sets in, but I cannot notice it. Certainly by f/16 diffraction becomes noticeable. If you care to dive deeper, I have calculated the D800's diffraction limits. The Expeed 3 processing engine inside the D600 works efficiently to provide low latency in the menu, playback, video, and data transfer. Also in live view it works quickly to control zooming, and acquire focus, etc. Like many Nikon DSLRs the built in noise reduction (NR) can reduce noise in JPEG output. Noise reduction algorithms range from Off, Low, Med, and High. If you anticipate to resize your image, than noise reduction can help. However, for more purists such as myself, I prefer to perform noise reduction in post processing and decide then whether to deem it necessary. Noise reduction not only reduces noise but also reduces sharpness and clarity, sometimes leaving a flat perception. Video quality is quite good on the D600. It can easily perform at high ISOs like 3200 and still maintain minimal noise artifacts. Using video mode with ADR set to high allows you to achieve a large dynamic range and film type look. However, rolling shutter is still an issue as it is with all digital SLR cameras. I would avoid fast camera movements. I recommend shooting video in manual mode to maintain constant exposure. When using Program, Aperture and Shutter priority modes, the video adjusts exposure automatically by adjusting ISO on the fly, this has an undesirable varying exposure and feels more like a home movie feel. Unless necessary, I would try to avoid it. And although exposure can be compensated, +/- 3EV, the camera will still vary ISO to meet the desired exposure. The built in microphone does a nice job at isolating the subject while mitigating background noise. Its reception pattern, although omni-directional, is targeted towards the front of the camera. CAVEAT: In Nikon's initial firmware, the D600 cannot adjust aperture on the fly while in live-view as can the D800 and D4. I suspect this is a mistake and Nikon shall release new firmware to account for it. 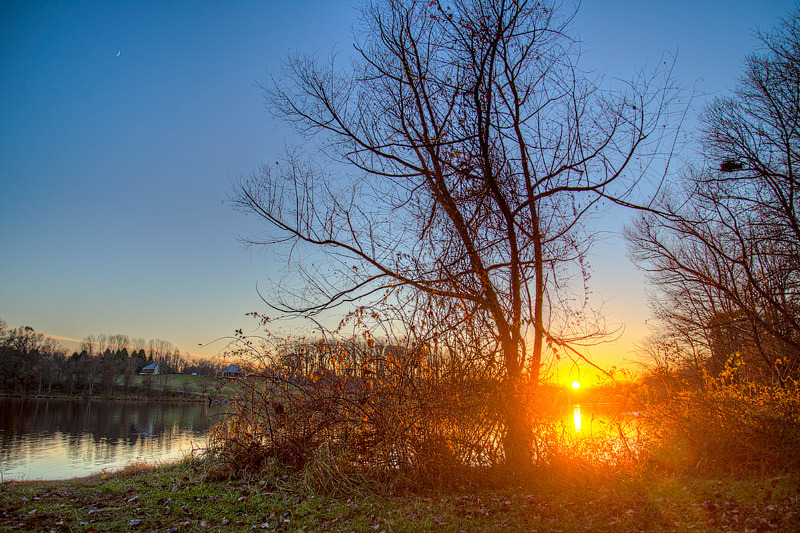 The in camera HDR (High Dynamic Range) feature provides little control. It uses two exposures and merges them into one. You can choose a smoothing algorithm from LOW to HIGH. You can also choose the exposure value increment from 1EV, 2EV, or 3EV. Overall I prefer to do HDR over in camera HDR. The cool part is that the cameras native dynamic range is so vast that you have to decide whether HDR is worth the hassle. The image below is has been processed through Photomatix across 3 exposures at 1EV steps. The second photo below that is straight RAW processed through Adobe Lightroom 4. I pushed the dynamic range by reducing the contrast, increasing the shadows, and decreasing the highlights. I then pushed the blacks down a bit. Overall, they do not look significantly different. However, the photomatix still retains a better dynamic range in the gradients. This is obvious at the region around the sun. My point is that the D600 can produce a vast dynamic range that sometimes it's not worth considering HDR. The samples below were all shot in RAW, and therefore processed afterwards using Adobe Lightroom. Most of the samples were shot at ISO 100, however there are a few at 400 and 800, etc. Provided below are a few related videos highlighting the different perspectives of the D600. The most important is the D600 review, as that provides the most comprehensive coverage of the entire camera system. One of the most discussed problems with the D600 regards dust found on the image sensor. However, it has not been concluded whether it is dust, nor oil residue, nor some other internal debris. Whatever it is, it is not trivial to correct. Blowing air does not completely remove it. However, a wet cleaning has shown to be more effective. If you do experience this issue, a non obtrusive cleaning method that I would recommend is to use the Giottos Rocket Air Blaster. Just do not expect it to remove all of it. 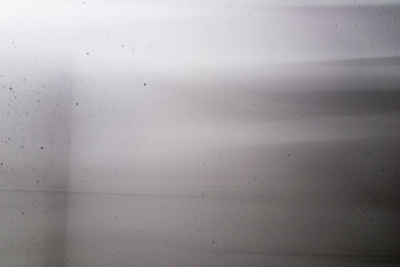 Shown to the right is an image of a white screen that has been processed to emphasize the dust specs. You can observe that the dust forms on the top left corner of the image (bottom right of the sensor in actuality). Upon initial inspection of a brand new D600, the sensor did not exhibit any artifacts of debris. However, overtime, as the shutter open and closes, debris shows up over time, until it reaches a steady state, where debris no longer forms. I suspect that Nikon quality assurance did not observe this upon factory test. Therefore I suspect the debris is contained in the sensor compartment, but not initially observable. As the shutter opens and closes during normal operational use, the debris gets kicked up and forms on the bottom right of the sensor. So the issue must occur due to a lack of cleaning process or inspection of a component close to the sensor. When compared to the D800, the onboard sensor cleaning process is different. The D600 makes a high pitch sound when the sensor is cleaned, where the D800 and D4 are near silent. If your camera is subject to sensor dust, I recommend you take this survey to help the user community scope the issue. There is also a petition you can sign. Another interesting issue is the ability to control aperture in liveview. Particularly this is disconcerting when recording video in manual mode. Using the D800 and D4, you can adjust aperture while in liveview, even when recording video. The new firmware should resolve this issue on the D600, as it is clearly a mistake on Nikon. The Nikon D600 lacks a few features that exist on other higher end full frame cameras such as the D800 and D4. If you are familiar with a Nikon D7000, then the D600 is nearly identical in its feature set when compared to that of a D700, D800, etc. Most of the features the D600 lacks are not frequently used in common application, and they are non associative from one another. Bracketing is a great for use in HDR or when you're unsure about exposure. 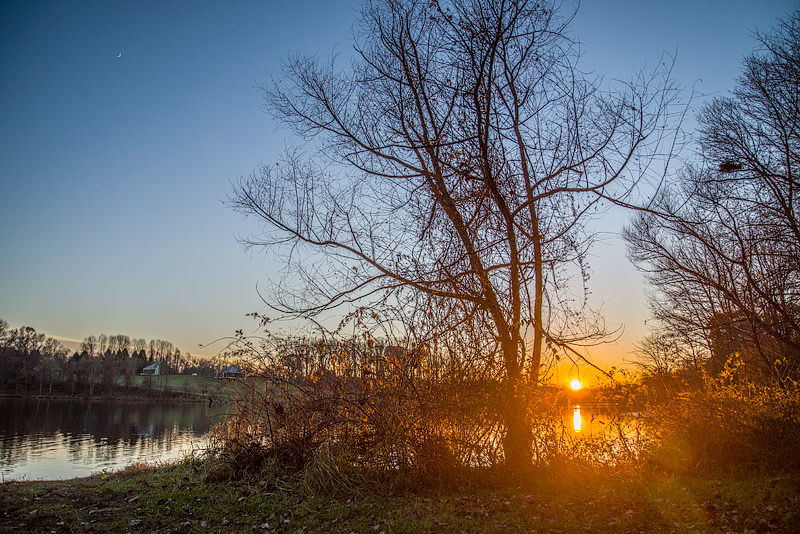 The D600 is limited to a 3 frame bracketing, meaning it will only take 3 different exposures. Other cameras could bracket more frames and thus acquire more varied exposures. The lack of more frames should not be a concern as you could always increase or decrease your exposure value and bracket a second round of shots. The sync speed of the flash is limited to no faster than 1/200th of a second. Not significantly difference than 1/250th of a second found in the D800 and D4. The D600 lacks support for wired flashes that use the familiar PC flash terminal connection. However, there exist numerous work arounds. The D600 lacks an AF-ON “autofocus on” button. I use the AF-ON button to hold and lock focus on a subject and fire the shutter as needed without attempting to reacquire focus between shots. 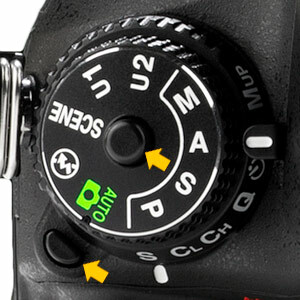 When this feature is missing, as it is in the D600, you have to rely stricly on the AF-L button and shutter release. Of course, you can remap the functionality to the AF-L button. However, doing so eliminates the shutter button to autofocus when held halfway. Again, frustrating, but not typically a frequently used feature. Many cameras such as the D300, D700, D800, D3, and D4 have a feature where you press the center button of the pad control, to zoom in significantly during image review or playback. It allows you to quickly assess focus. I use it nearly every time in professional environments such as weddings, where I need to verify eyes are open, people are smiling, or focus is accurate. The D600 lacks this feature, as it has been overided by the "OK" button. 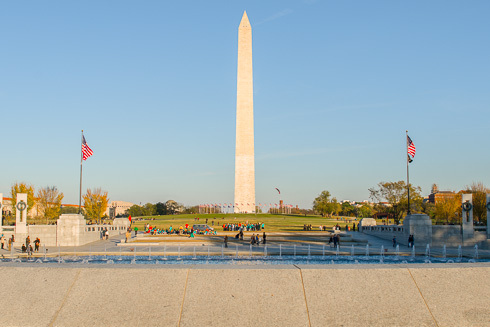 The 5:4 crop mode reduces the image size by cropping the horizontal dimension. 5:4 is an established standard aspect ratio (8 by 10, 11 by 14, 16 by 20, etc). I use it often as I prefer it over the 3:2 aspect ratio. It also saves space, both in RAW and JPEG, ultimately reducing post processing time. Nikon has outdone themselves with this lens. The 50mm f/1.8 AF-S G features great bokeh and sharp images all in a light weight, affordable package. 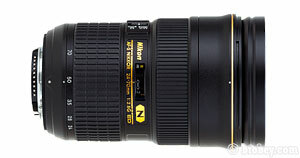 Kudos to Nikon for this lens! The only downside is it has some distortion, but it can be easily corrected for in Photoshop, Lightroom, or Aperture. The 24-70mm is Nikon's best midrange zoom. It is optically excellent. Built for professionals it comes at a high cost. It large f/2.8 aperture allows lots of light throughout the entire zoom range. 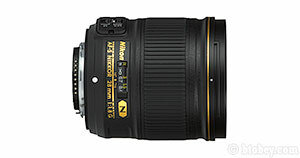 The Nikon 85mm f/1.4D is a classic portrait lens. It can be used for almost everything, including weddings, photojournalism, weddings, and events. Known for its bokeh, it can be found in almost any professional's bag. 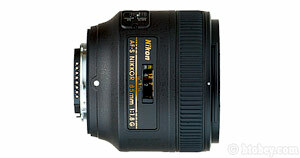 The new Nikon 85mm f/1.8G is an active portrait lens. Perfect for weddings or events. It's 7 bladed diaphragm may produce decent bokeh. This is an ongoing review. The lens is expected to arrive early Feb. The Nikon 28mm f/1.8G presents a reasonable wide angle prime at a more affordable price point than the 24mm f/1.4G and 35mm f/1.4G. With the ability to shoot at f/1.8, low light is not a problem. It features two aspherical elements and nano crystal coating. Nikon 70-200mm f/4 VR provides an excellent solution for a high performance optical long rang zoom for those looking for a lightweight FX package. The D600 offers several advantages to the D800. The user presets, U1 and U2, come in handy when switching between environments. 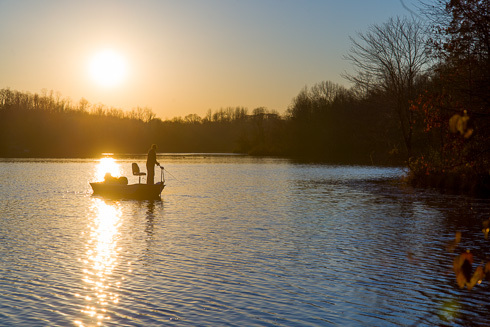 The D600’s reduced size and weight make it more encouraging to pick up and bring along. During post processing, the file size is less intensive and is more manageable in work flow. The dual memory slots are common and use popular SD cards. The connector covers are grouped together, allowing individual access, as oppose to all connectors exposed. This connector cover grouping is more similar to the D4. The D700 remains a legend, as it has performed well over the years for so many diverse photographers. 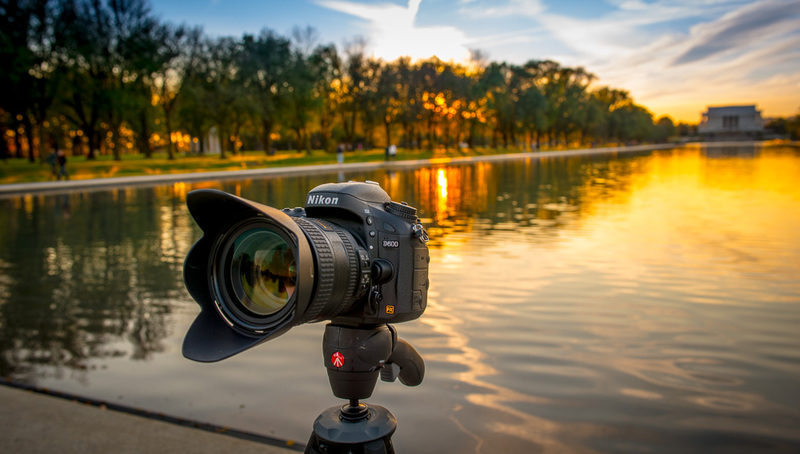 The D600 expands on its excellence, by providing better image quality, adding video modes, and fun features like time-lapse and scene modes. The D600 is also more modernized. Its live view implementation is intuitive and its auto-ISO considers focal length in its determination. These improvements are welcomed and noticeable when using the D600 vs the D700. The Canon 6D is canon’s answer to the D600. Both Canon and Nikon produce extraordinary cameras. The 6D is slightly smaller than the D600, but overall I cannot provide advice to one over the other. Both cameras are high performers, and those familiar with either brand will likely stay with that brand. However, if you are making the switch between APC-C (DX) to full frame, I would recommend going to a local store and trying both cameras before deciding. I encourage you to come up with your own trade study. Switching to a larger sensor format is a good time to reevaluate manufacturers, if there was ever a good time. 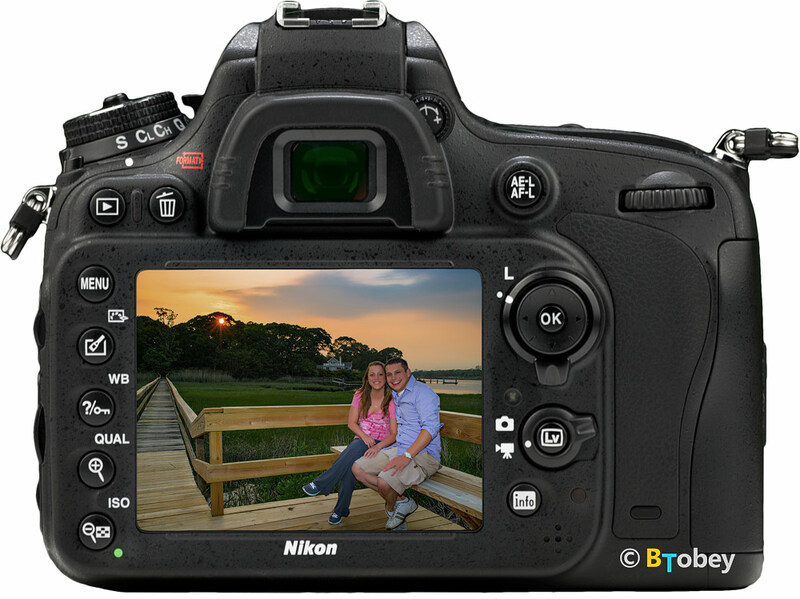 The Nikon D600 is priced affordably, offering many similar features of the Nikon D800 at less cost. No more than a year ago, the D700 was priced at $2600. Now the D600 is priced even less than that. What has this done to the D700’s pricing? I suspect the D700 to come down even further, probably around $1600 price range for a moderately used D700 with a 50K shutter count. I have provided a plot above showing the used price of the D700 throughout this time. Nikon pricing policy is limits discounts on individual items unilaterally across retailers. So finding a D600 at a discount will be difficult. However, some retailers throw in extra accessories for free to stay competitive. I prefer Amazon and Adorama, as I find these retailers to be the most honest and have the best return policies. Additionally using these links help support this site and help me test these cameras. I appreciate it if you use my links for your purchases. Regardless of the hype, full frame is not for everyone, but what it does offer is a familiar feel to the 35mm film standard, something that has been lacking in the early digital era. Full frame cameras have a noticeably larger viewfinder than the crop DX DSLRs. And due to physics, full frame cameras have a shallower depth of field for better depth of field control. But most importantly, a larger sensor allows greater data collection for a given exposure, which ultimately leads to better dynamic range, better signal to noise performance, and greater color depth. The D600 encompasses all the full frame advantages in a lightweight compact package. Although it’s the least expensive FX camera, its image performance is exceptional, and its controls, although different from the D800, are well laid out with good utility. Overall, I highly recommend the D600. It is my personal favorite, more so than the D800, D700 and D4.